The first original chivalric poem written by an Italian woman, Floridoro imbues a strong feminist ethos into a hypermasculine genre. Dotted with the usual characteristics—dark forests, illusory palaces, enchanted islands, seductive sorceresses—Floridoro is the story of the two greatest knights of a bygone age: the handsome Floridoro, who risks everything for love, and the beautiful Risamante, who helps women in distress while on a quest for her inheritance. Throughout, Moderata Fonte (1555–92) vehemently defends women’s capacity to rival male prowess in traditionally male-dominated spheres. And her open criticism of women’s lack of education is echoed in the plights of various female characters who must depend on unreliable men. 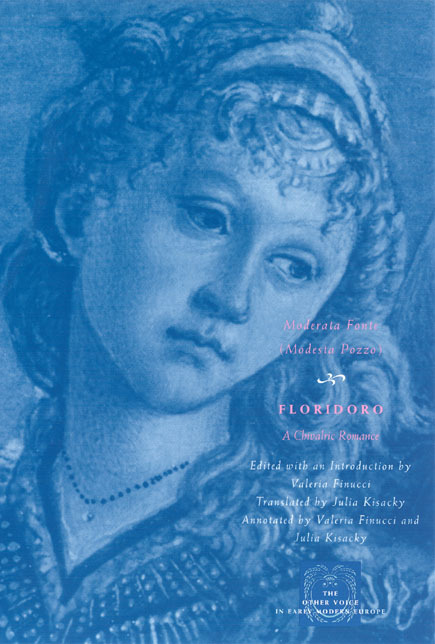 First published in 1581, Floridoro remains a vivacious and inventive narrative by a singular poet. "The comprehensive and engaging introduction . . . gives a complete background, not only in historical and literary terms but also with regard to gender and the role of women, to this remarkable work. . . . A thorough, informative, and enticing treatment of this epic poem." "The translation flows easily; it is precise yet agile and it is well suited for scholarly as well as leisurely reading. . . . An excellent edition and translation, confirming the claiber of the texts included in the series." A fine addition to the . . . series. It is accessible enough to use in the classroom, and scholarly enough to include in any research library."